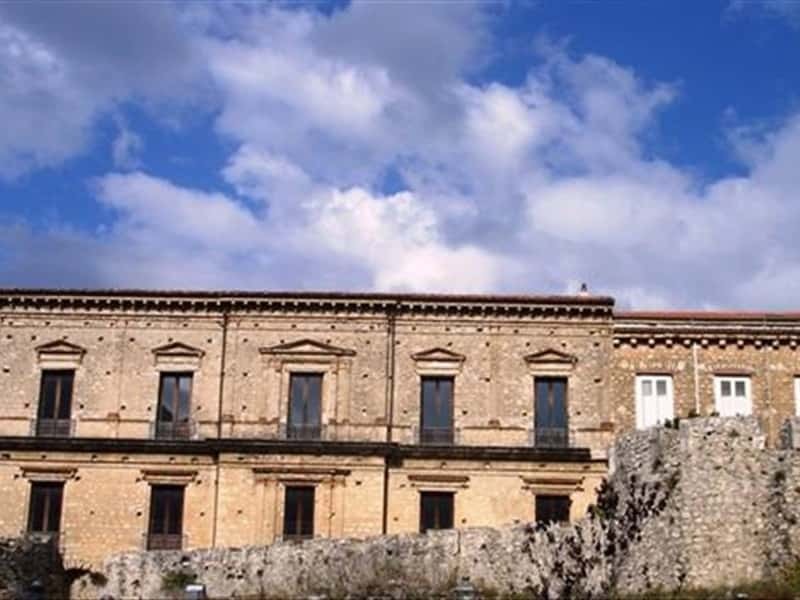 It is probably the best preserved centre of fortified origin in the Vallo di Diano, within the Parco Nazionale del Cilento: Teggiano, in the Province of Salerno, ancient Tegia, sits on the top of a hill and its walls and other buildings are built on a megalithic foundation from the 4th century BC. Its urban plan is based on two streets that intersect at a right angle on which its main buildings are located: the Cathedral, the Castello Macchiaroli and a series of Angevin period churches such as the Church of Sant'Andrea, the Church of the Annunziata and that of San Pietro. The village combines beautiful scenery with the very ancient history of the places, themselves. Along the streets of the old town centre, you can see Roman remains on the facades of the houses, artistic portals of aristocratic residences with noble coats-of-arms, cloisters decorated with stupendous frescoes, votive niches and a monumental 15th-century portico that, for centuries, was the place where the city's parliament met. There are also the beautiful scenic lookouts of Teggiano, unique spots from which you can view the valley below, furrowed by the Tanagro River and dotted by other ancient towns, such as Padula with its monumental Carthusian monastery. This town web page has been visited 51,466 times.